D and M Construction was established in 2001, before setting up our own business we both worked in the construction industry and had gained a vast amount of knowledge which has helped put us where we are today. We focus strongly on customer service, giving our clients peace of mind and confidence that they will be recieving our full attention and best of our knowledge at all times during the project. We can also show you our past clients projects who will be happy to let you view our work and provide references about the experience of working with our team and the quality of our building work. 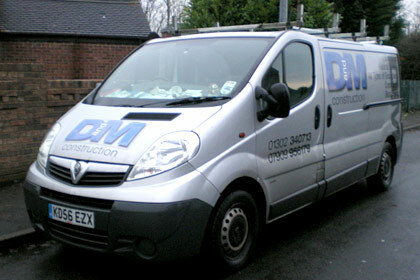 To discuss your building project please contact Derek to arrange an appointment.